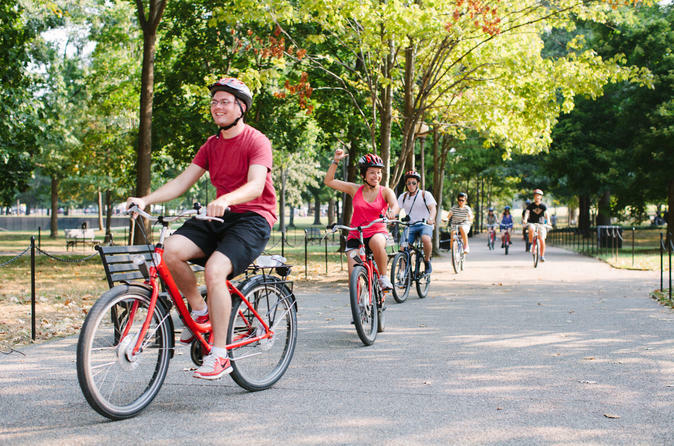 Chicago boasts an 18-mile Lakefront Trail for cycling, running and walking and this tour aims to show you what we feel is the best part of it. Starting at our conveniently located South Loop office, we’ll take you on a tour from Grant Park north to Lincoln Park with plenty of stops, stories and photo ops in between. See eight of Chicago’s most high profile neighborhoods - South Loop, Streeterville, Gold Coast, Lincoln Park, Old Town, River North, the Loop and Printer’s Row - in addition to both of Chicago’s showpiece parks, Grant Park and Lincoln Park. Cruise along the Lakefront and hear loads of information about Chicago’s history, architecture and culture as well as quirky facts and stories from one of our world class tour guides. This tour covers the major Chicago sites as well as dipping into the surrounding neighborhoods, often missed by most visitors, for an experience that is unlike anything else we’ve ever offered in our decade-plus in Chicago!